One of the most identifiable marks of St. Andrew’s Church is the worship of God. This culminates each week at the Sunday Holy Eucharist–also known as the Lord’s Supper or the service of Holy Communion. The Sunday 8am. Holy Eucharist is a time of quiet reflection, where scripture is read and the Gospel is preached. The Sunday 10am. 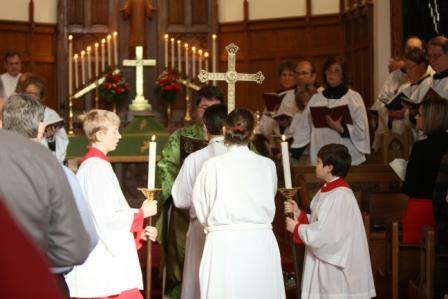 Holy Eucharist is a Choral service with music and singing added to the reading of scripture and preaching of the Gospel. 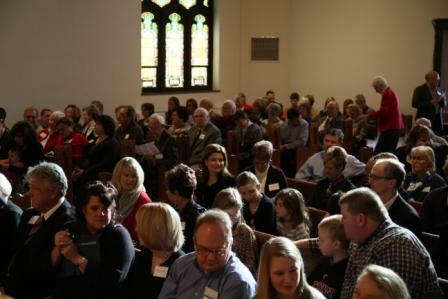 On Wednesdays at 10am, A Service of Healing is offered to the community. This service includes Communion along with anointing and prayers for healing. There are also seasonal opportunities for worship. Information about these special services can be found on the “Events” page.